• no need to change the complete door! 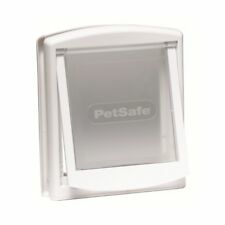 Fits to petsafe door type 640 (84874). No need to change the complete door! If there's a problem, just let us know and we will fix it. 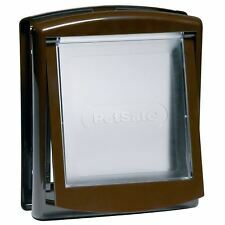 Cat Flap Step. 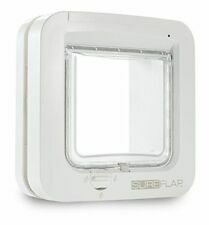 A unique 'floating' pet step designed for high-up cat flaps. Solid Cast Aluminium Sign. These signs are made from molten Aluminium cast in sand. They will not break if dropped or warp in the sun. The raised lettering is part of the plaque and not "glued on" afterwards. 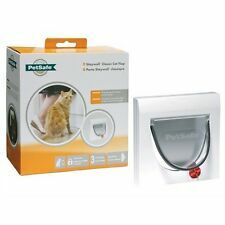 Petsafe Manual 4 Way Cat Flap 4 locking options Suitable for cats up to 7 kg (15 lbs) Overall size 224mm by 224mm Maximum pet shoulder width 162mm . Ensuring that your house stays warm. 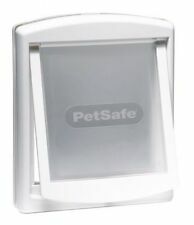 White finished heavy duty Aluminium with flexible flap. Locking Security barrier. 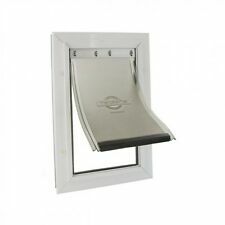 Suitable for all doors up to max 2" (50mm). 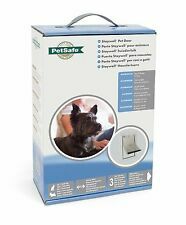 FOR LARGE SIZE DOGS UP TO 45kg (100lbs). 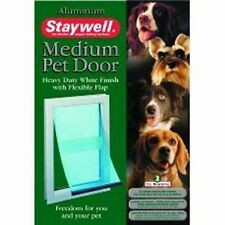 Staywell pet door. Aluminium large model 2 way. Overall size 502.6mm x 329.1mm. Cut out size 451mm x 277mm. 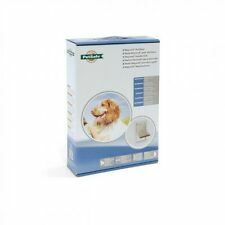 Maximum pet shoulder width 260mm. Maximum per weight 45kg. Staywell 917 Information. With a 60mm (2 1/4") tunnel. 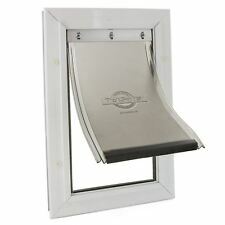 White Finish 4 Way Locking Cat Flap. 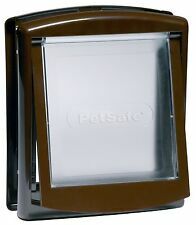 Cat friendly transparent flap. 4 Way Locking. 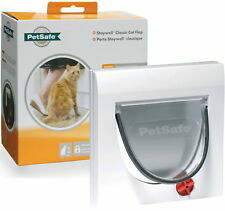 Cat Safe Action. Cut out size wood: 169mm x 169mm (6 5/8" x 6 5/8").